Vacation is a relaxing and enjoyable time for many people. The last thing you want to come home to after a vacation is a hot, humid house and a higher-than-usual utility bill. 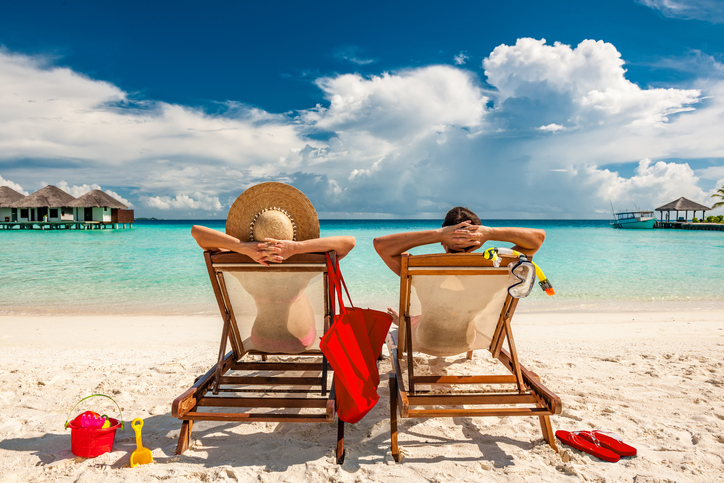 LIBERTYAIR, a Gainesville ac company, answers common HVAC questions to help you enjoy your summer vacation even after returning home! Should You Turn Off The A/C? Vacation means leaving the house for a couple of days or more, so it makes sense to turn off the air conditioner, right? Wrong. If the unit is turned off, the air inside your home won’t circulate, which can lead to a hot and stuffy welcome home and possible mold growth. The reason is Florida’s high humidity levels. Instead, plan on letting a programmable thermostat handle air-flow in the house while you’re away. Does A Programmable Thermostat Work? Programmable thermostats have come a long way since they were introduced 1906. Not only have they become more accurate, but with smart thermostats, now you’re able to check the house temperature from a smartphone at any time. If you’re unsure what type of programmable thermostat is best for your home and HVAC system, contact the ac repair company experts with LIBERTYAIR! Our technicians can explain how different thermostats work and professionally install an appropriate model in your home. What Temperature Should You Set The Thermostat? Once the programmable thermostat is installed, it’s time to increase the indoor temperature while you’re away. Turning the thermostat up by a few degrees will save money on cooling costs while reducing the strain on your HVAC system. Your system will turn on less frequently while your away and can be set to run at a cooler temperature a day or two before you return. Generally, it's recommended to set the thermostat to at least 80 degrees while away to save energy. There are two other factors to consider when setting your home up for vacation. While you can’t control Florida’s summertime weather, the professionals with LIBERTYAIR can help you improve your home’s efficiency. It goes without saying that Florida summers can be downright miserable at times. To help your HVAC system work efficiently, remember to close blinds, curtains, and other window coverings before leaving. This helps keep the sun and heat at bay, especially during the hottest parts of the day. How well your home is insulated plays a large role in its ability to retain a cool temperature. Reducing air leakage means ensuring there is ample insulation in the walls and, if applicable, the attic, along with insulated doors and windows. The number of trees, shrubs, and bushes surrounding a home also affect its efficiency and ability to resist heat buildup. How Can You Benefit From HVAC Maintenance? Another great way to make sure your HVAC system is ready for your summer vacation is to schedule planned maintenance with LIBERTYAIR! Our technicians inspect the ins and outs of your home’s air conditioner and make any necessary repairs. By making sure the unit is in peak condition, you’ll have the peace-of-mind of returning to a cool and comfortable home in a few days. For dependable ac repair Gainesville Florida residents can count on any time of day, call LIBERTYAIR today!